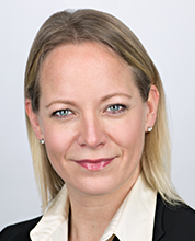 Tracey Countryman is the Managing Director for Accenture’s Industry X.0 Services, one of the world’s leading organizations providing management consulting, technology and outsourcing services with experience and success working with asset-intensive companies—including oil and gas, metals, mining, chemical and utilities. During her 20 years with Accenture she has primarily focused on operational improvement strategies across MES/ MOM modernization, EH&S, Mtc & Reliability, and Operational Excellence. She served her first eight years working primarily with chemical companies across North America, followed by five years with steel and mining companies, and recent 10 years in Oil and Gas. She also leads the Refining Industry segments globally for Accenture. Ms. Countryman is a graduate of Georgia Institute of Technology and now resides in London, UK. Dr. Thomas Halsey is the Chief Computational and Data Scientist at ExxonMobil. Since joining ExxonMobil in 1994, he has worked in a variety of research, management, and staff positions in New Jersey and Texas. Previously, he was on the faculty of the University of Chicago. He received a PhD in physics from Harvard University in 1984 and is a Fellow of the American Physical Society. 1990–1995 Singapore-based; leading Asia Pacific Process Group Sales organization, including integration of Rosemount and Fisher Controls Sales channels at time of merger. 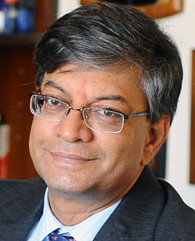 Dr. Venkat Venkatasubramanian is the Samuel Ruben-Peter G. Viele Professor of Engineering at Columbia University. 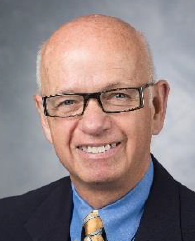 His research contributions have been in the areas of process fault diagnosis and risk management, materials discovery analysis, pharmaceutical engineering, free-market dynamics, and income inequality. He holds a BS in chemical engineering from the University of Madras, an MS in physics from Vanderbilt, and a PhD in chemical engineering from Cornell. He is a fellow of the American Institute of Chemical Engineers, which also awarded him the Computing in Chemical Engineering award in 2009. Prior to joining the faculty of Columbia in 2012, he taught chemical engineering at Purdue University, where he won the Norris Shreve Prize for outstanding teaching three times. Antonio Pietri, President and Chief Executive Officer, Aspen Technology, Inc.
Antonio Pietri is President and Chief Executive Officer (CEO) of AspenTech, and also serves on the company’s Board of Directors. Prior to his appointment to President and CEO, Pietri served as Executive Vice President, Worldwide Field Operations, where he led global Sales, Sales Operations, Professional Services, and Customer Support & Training. He previously served as Senior Vice President and Managing Director, Regional Operations, Asia Pacific, based in Singapore and Beijing, China. Pietri joined AspenTech through the company’s acquisition of Setpoint, Inc. in 1996. At Setpoint, Pietri held a range of sales, services implementation, and consulting roles, where he oversaw integration of AspenTech solutions at European refinery and process manufacturing sites. In 2002, he relocated to Singapore as Vice President, Business Consulting, and was subsequently promoted to Managing Director of the Asia Pacific region. He began his career at ABB Simcon as an applications engineer focused on advanced control and multi-variable controllers for refining. Pietri serves on the Chemical Engineering Advisory Board at the University of Tulsa. He was the 2017 selection for the MIT Warren K. Lewis Lectureship in Chemical Engineering, and is a frequent speaker at industry events. He holds an MBA from the University of Houston and a BS in Chemical Engineering from the University of Tulsa. 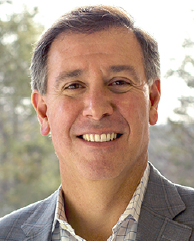 Gary Weiss, Chief Operating Officer, Aspen Technology, Inc.
Gary Weiss joined AspenTech in 2018 and serves as Chief Operating Officer. He is responsible for customer-facing operations and product leadership across AspenTech’s portfolio of asset optimization solutions in the engineering design and manufacturing and supply chain areas. 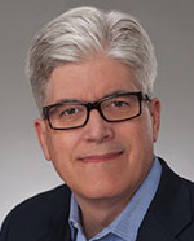 Over more than 25 years of experience in the software industry, he has successfully led several organizations to scale their go-to-market operations. Weiss joined AspenTech from OpenText, where he held several leadership roles in various business units of the organization. His last role was as Senior Vice President and General Manager of the OpenText Security, Discovery and Analytics business. His prior responsibilities included being SVP of Cloud Services, as well as SVP and GM of its Information Exchange business unit that led to the transformative acquisition of GXS for the Canadian software leader. 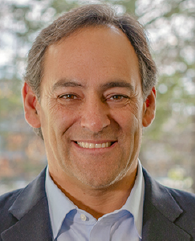 Before OpenText, Weiss spent eight years with Computer Associates (CA) where he was a member of the senior leadership team in security sales, business development and strategic alliances. He started his career in the early days of RSA Security, where he was one of the sales leaders that helped drive the company to market leadership. He holds a B.A. in Political Science from Tulane University. Copyright © 2018 Aspen Technology, Inc. All rights reserved.